Rett syndrome is a neurodevelopmental disorder which primarily affects girls, but can be rarely seen in boys. 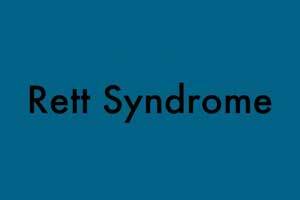 Rett syndrome is usually first noticed in infancy and has been most often misdiagnosed as autism, cerebral palsy, or global developmental delay. It is found in all ethnic and racial groups and occurs worldwide in 1 of every 10,000 to 23,000 female births.There is no cure of disease and most patients will live into middle age and require specialized full-time care. In a recent study, researchers from Case Western Reserve University School of Medicine have tried to find ways to restore brain function and reverse disabilities associated with Rett syndrome.They identified a specific brain region–the medial prefrontal cortex–as being particularly important for some of the respiratory and cognitive abnormalities seen in Rett syndrome. The study used a Rett mouse model to show activating neurons in this region can reverse breathing and memory abnormalities in symptomatic animals. The team studied mice harbouring a defect in the gene that causes Rett syndrome in humans. In the mouse model, they found neurons in the medial prefrontal cortex are relatively inactive, because they lack adequate stimulation from other nerve cells. The researchers hypothesized that low activity levels in these neurons could be causing Rett symptoms. By using molecular manipulations, the researchers specifically activated the “sleeping” neurons. The procedure restored normal breathing in the mice and reversed a specific deficit in long-term memory. “‘Waking up’ these neurons, or increasing their electrical activity, results in a reversal of disease symptoms. With respect to the behaviours we studied, we can literally switch the animals from the disease state to the normal state (and back) by waking up (or not) these neurons,” explained study lead David M. Katz, PhD, professor of neurosciences and psychiatry at Case Western Reserve University School of Medicine. “Thus, despite the severity of Rett syndrome, brain circuits in affected animals are sufficiently intact that, with appropriate manipulation, their functionality can be rescued and normal behaviour restored.” The results are part of the PhD thesis research of James Howell, a graduate student in the Katz laboratory. The findings suggest stimulating neurons in the medial prefrontal cortex might also be therapeutic for Rett patients. Researchers hope it could help normalize breathing and improve cognitive function. The same approach, applied to other brain regions, could potentially lead to other improvements, such as enhanced motor function. Katz is now working to specifically define the subsets of neurons in the Rett brain that need to be activated to reverse symptoms. “This will hopefully make it possible to design more precise therapeutic strategies,” Katz said. His team is also looking at ways to translate their mouse model findings into potential treatments for Rett patients.